Our monthly Alcatraz swims are incredibly popular and are a great way to make this epic crossing with a small friendly group and without the pressure of competition. 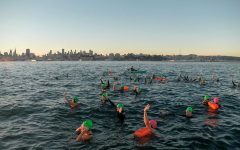 Enjoy all this swim has to offer without sweating the clock, make new friends, and enjoy a casual morning out in the bay! 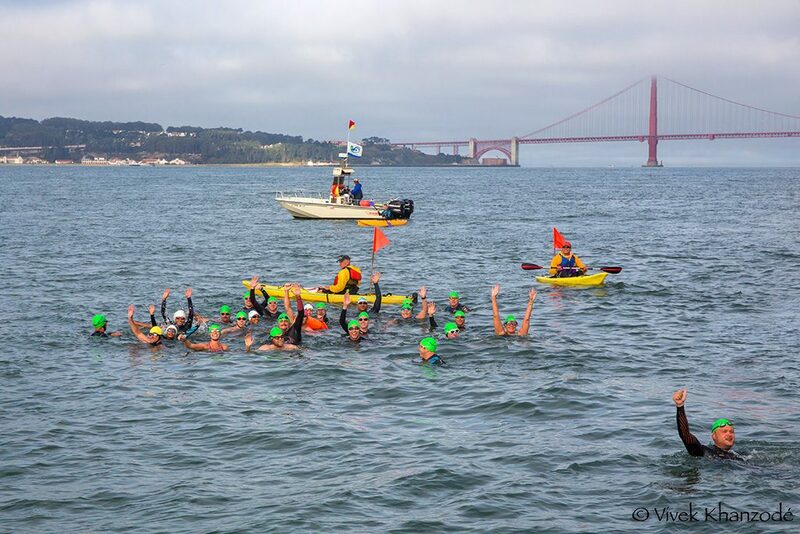 These crossings are recommended for swimmers who have either taken the Water World Swim Alcatraz Swim Clinic or who feel confident and have had prior experience swimming in the open water. Because of its casual nature, this is a great way to do your first Alcatraz. 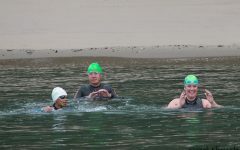 Our crossings are usually limited to 20-49 swimmers and are accompanied by coaches in the water, on kayaks and SUPs, and on the boat.Swimmers will be divided in two or three groups of slow, medium and competitive levels which are accompanied by our coaches. After a brief but thorough discussion of the conditions of the bay during your crossing, we will jump from the boat and swim toward our destination across the bay. 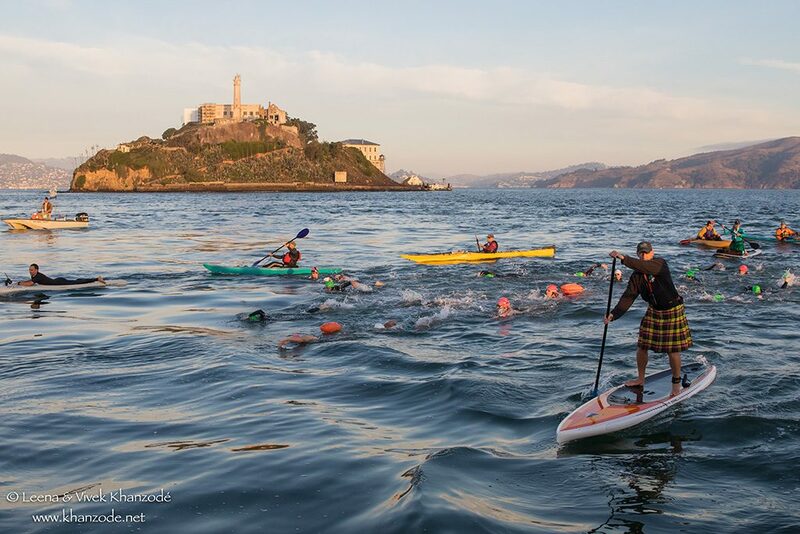 Paddlers will keep you on course and look out for your as you enjoy your journey to shore. 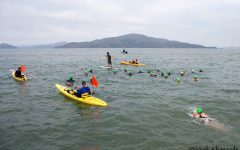 Monthly crossings finish at one of three locations: Aquatic Park, St. Francis, or Angel Island (on our calendar as Island to Island). ST. FRANCIS, OR AQUATIC PARK? 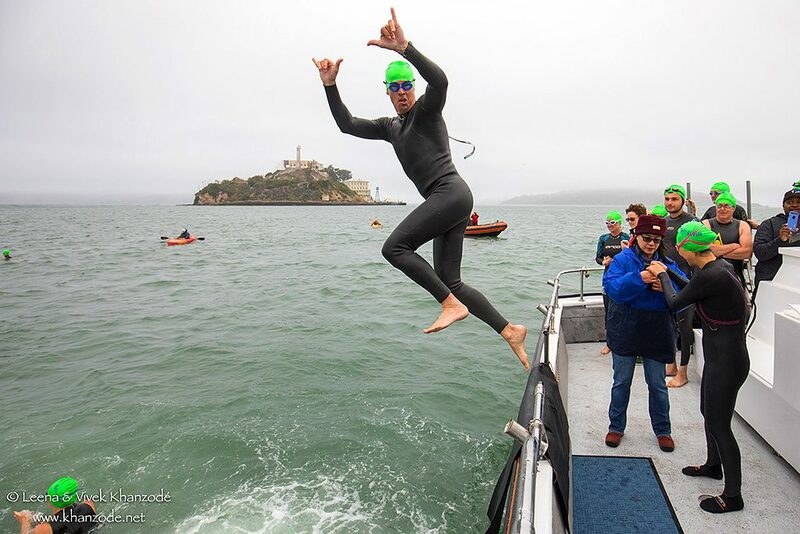 You have chosen to escape Alcatraz to San Francisco - but will you arrive to Aquatic Park, or St. Francis? 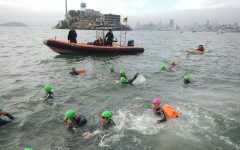 Aquatic Park has been regarded as the "classic" route as many big annual Alcatraz races finish there, including our own Alcatraz Swim with the Centurions. 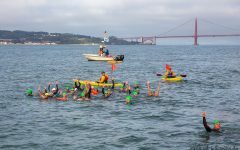 At 1.25 mi long, it features some fun and challenging currents to make the opening to the cove and beautiful views of the San Francisco skyline. 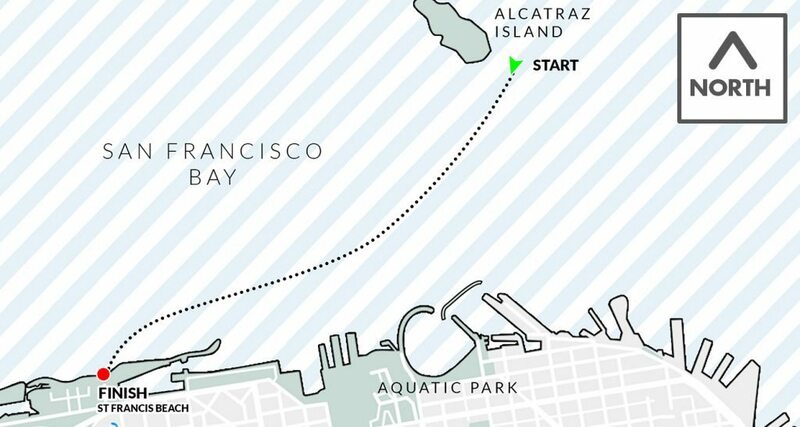 With a finish here, you won't reboard the boat and will be reunited with your belongings on shore and change there. 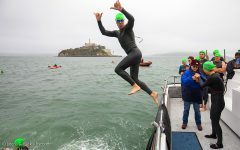 St. Francis is the route of major bay triathlons. 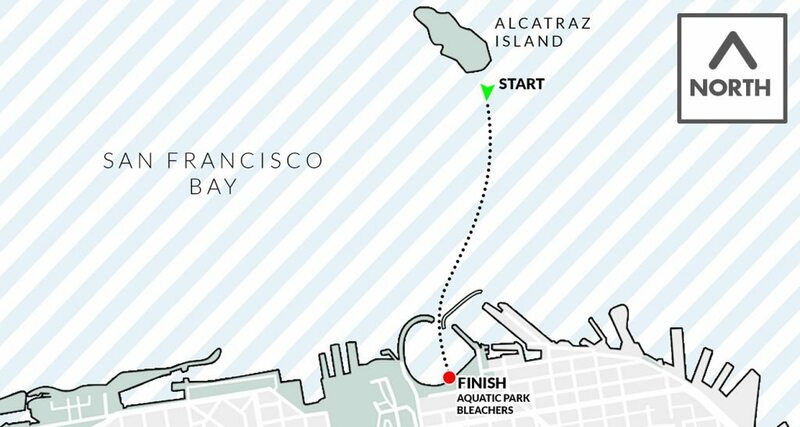 As this swim is with a favorable current, the roughly 2 mi course is often faster than the swim to Aquatic Park. 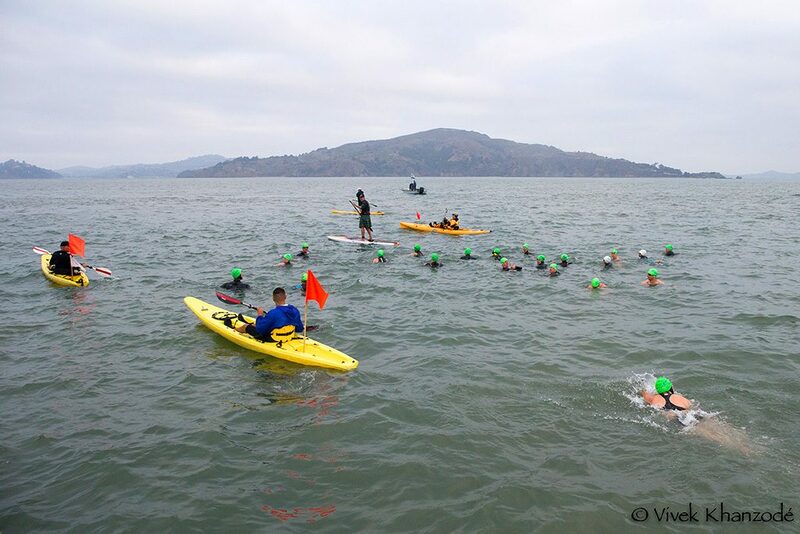 You'll skim the shoreline as you make your way to St. Francis, enjoy views of the Presidio, Golden Gate Bridge, and the yacht harbor. You'll bring your belongings on board and reboard at the finish so you can change on the boat before we head back to the wharf. 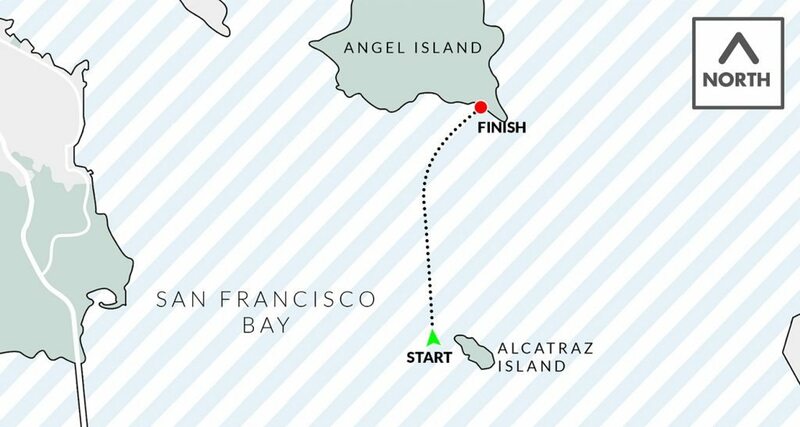 When Frank Morris and the Anglin brothers escaped from Alcatraz in 1962, it is thought that they may have headed to Angel Island. Unfortunately, they left at night so they missed the incredible scenery! This is a fan favorite. 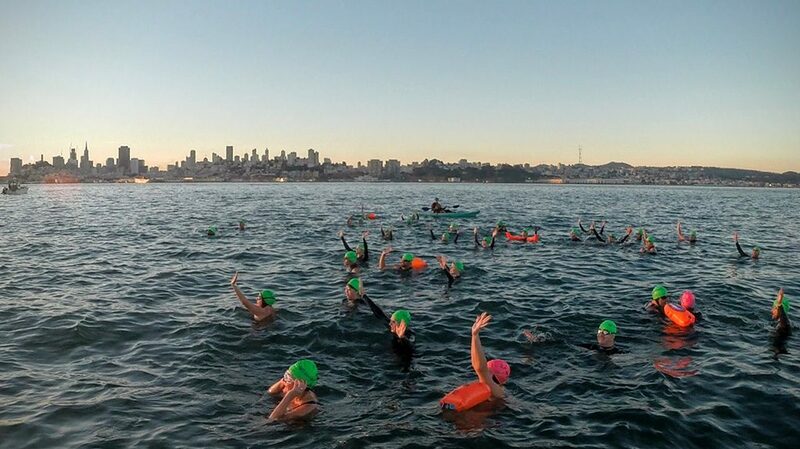 Join us for a beautiful recreational swim that puts you right out in the middle of the bay. You will have views of the Golden Gate, the Bay Bridge, Alcatraz and Angel Island. From Fisherman’s Wharf in San Francisco, a boat will carry you to the north side of Alcatraz Island. 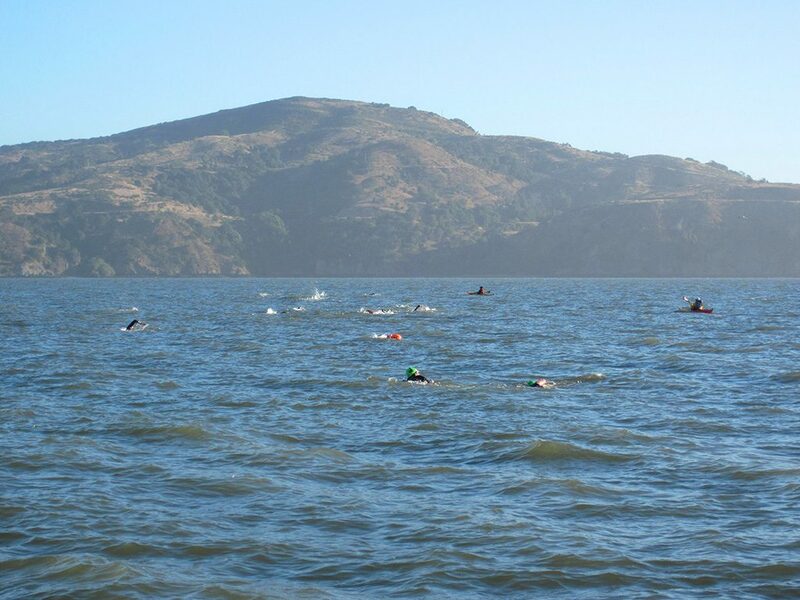 Upon entering the water you will make the 2 mile swim to Angel Island with the incoming flood tide behind you. 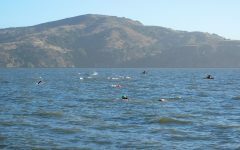 Your swim concludes on the sandy shores of Angel Island - in fact, the very same beach that is in the last scene of the movie “Escape From Alcatraz”. 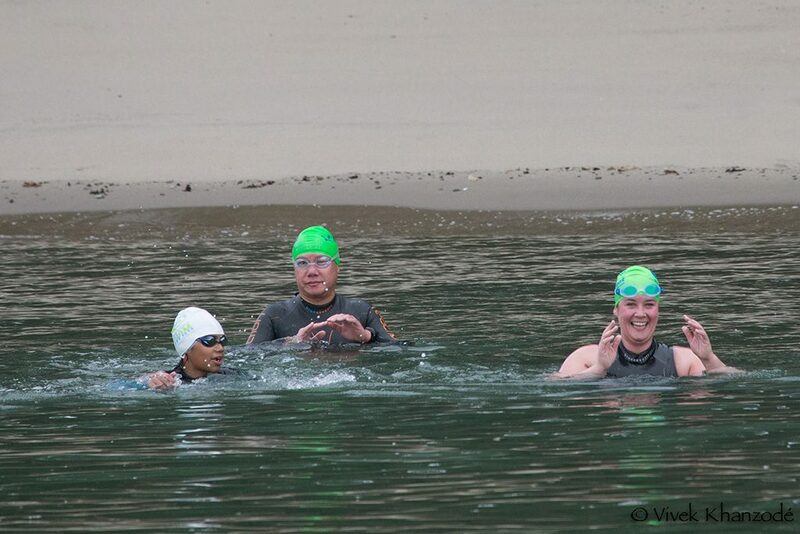 After a brief respite on shore, you will swim back out to a boat which will transport you back to Fisherman’s Wharf. 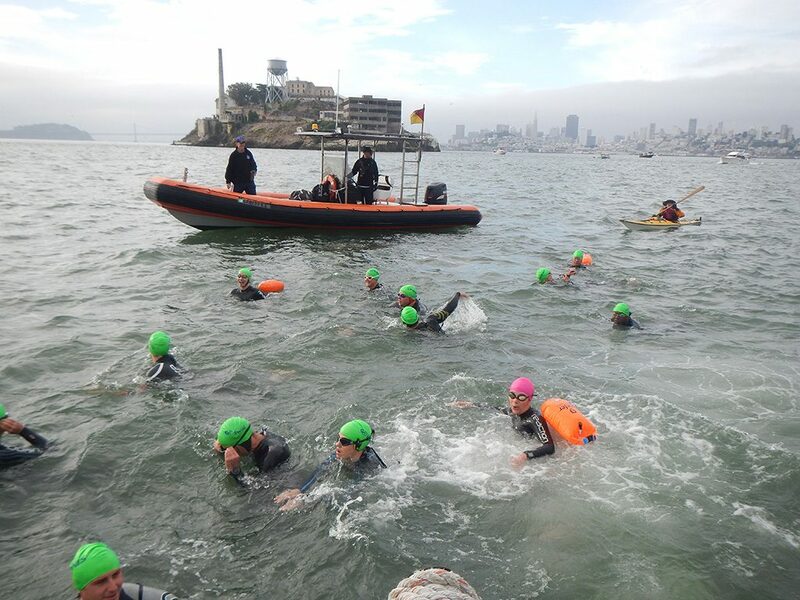 WHY DON'T SWIMS START DIRECTLY AT ALCATRAZ OR WITH A JUMP OFF THE ROCK?